The first time I saw Shannon Hoon was onstage at L.A.’s Forum, where Guns N’ Roses were performing a warm-up show for the Use Your Illusion tour. I didn’t know who he was, and I doubt anyone in the crowd did, either, but he held his own with the biggest (at that moment, at least) rock band in the world. 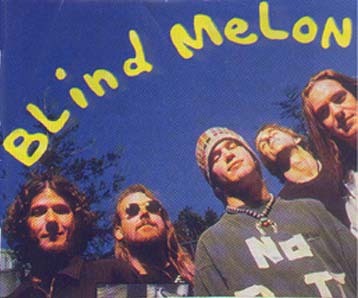 Yes, the “No Rain” video was great, but the song I always return to on Blind Melon is “Dear Ol’ Dad.” Mark it up to daddy issues if you must, but personally I think it’s just a really solid song. Like Kurt Cobain’s the prior year, Hoon’s death hit me less because he was gone and more because he was my age. When we’re young — and 28 is still young in the context of mortality — death has a certain narcissistic resonance. Maybe it does when we’re older, too, I don’t know. I suppose I’ll found out soon enough. Want to read all about the late great Shannon Hoon? Check it out on Diffuser.